Tommy Smith (Finglas Local) speaks with Austin McCoy all about DCU Medics and their Group Meetings. Tommy Smith speaks with Austin McCoy about stories told during his past by Parents & Grandparents, Part 12 of a Series of Programmes entitled “In My Father & Mother’s Name”. Philip from Philip & Mutylz Promotion joins Noel McGuinness along with some artists from the night join Noel to chat about the benefit night at the Button Factory on the 21st of July in aid of Dublin Samaritans & Pieta House. Brian O’Neill, Chairman of the 1916 Relatives Association joins Noel McGuinness to discuss the purchase of Tom Clarke’s Tobacconist on Amiens St. by Dublin City Council. 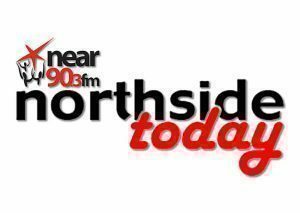 They also discuss the current situation with regard to Moore St.
Carla Fitzgerald from Siel Bleu speaks with Austin McCoy all about the Projects, Activities & Services Available for Older People at Siel Blue who have locations in Portmarnock, Clontarf, Artane & Drumcondra. Pat Doherty, Head of Strategic Development, Housing and Funding, ALONE speaks about Concern for Vulnerable Older People during the Current Heatwave. Anne Dempsey from Third Age Ireland speaks with Austin McCoy about their Senior Line and also their New Programme entitled “Age Well”.